Let Mistwood Aviation handle all the hard stuff. You just enjoy the flying. There are many aspects to owning an airplane: proper prebuy checklists, staying on top of weekly/monthly/yearly maintenance requirements, cleaning up after that passenger that insisted on eating during the flight. Mistwood Aviation offers a full suite of services to help you through the aircraft ownership process, covering everything from before you purchase your plane to a monthly cleaning service that keeps your aircraft in pristine shape. 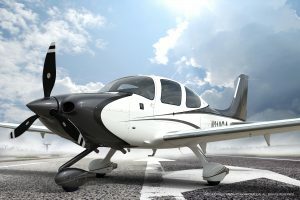 Our focus is on making the aircraft ownership experience easy for the aircraft owner. We will work with you to provide a total turn-key program that adds value to your aircraft ownership, allowing you to spend less time working on your plane and more time enjoying it. Launch and recovery services, ensuring aircraft is fueled and ready for you on the flight line before you arrive at the airport. After your flight we will wipe down, fuel and store your plane in your hangar. Fully Managed Maintenance: we ensure your aircraft and logs are always up to date with all required maintenance actions, as well as priority scheduling for unexpected issues. Includes test flights after all major repairs.